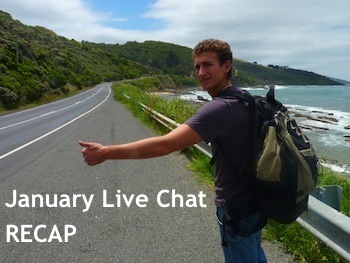 Welcome to the first live chat of the new year, we’ll be kicking off 2012 today with my guest, long-term traveler and travel blogger, Wandering Earl. Addicted to the first-hand education that world travel provides, I aim to prove that a life of constant travel is not some crazy fantasy but a very realistic lifestyle option instead. And whether I’m in Mexico City, Bucharest or the tribal regions of Pakistan, my focus is not on the sights to see, but on the human interactions that take place and the lessons I learn along the way. I first met Earl in New York during the 2010 TBEX conference and 6 months later we traveled to northern Iraq. You may have missed our June talk in Vancouver about Iraq, have questions about Earl’s 12 years on the road, or simply want to hang out to break up a long day at the office. We’re both in Bucharest, Romania at Simbio Cafe and if you’re around drop by to say hi. I’ll buy the first 5 of you a beer – otherwise, we look forward to chatting with you wherever you are in the world! Click here to jump into the comments and join the chat! Hi everyone and welcome to January’s live chat. As usual I want to kick things off with some of the best comments on foXnoMad from this past December. Have any others you’d like to add? (Even if they’re your own!) You know where to do it – it’s live chat time! Vinny left a tip in the comments so good I had to add it to my post about accumulating frequent flyer miles without a credit card immediately. On that same thread JoAnna brought up another great question about earning miles leading me to write a follow up a week later about the biggest mistake people make with their accounts. Barbara asks what traveling to Egypt may be like right now for travelers who have it in their plans and I give my take. Will‘s got a good New Year’s resolution if you ask me!…and Mina‘s not far behind 🙂 Looking forward to hearing what you other plans you’ve got for 2012. …and that goes for all of you 😉 Alright, ready, let’s talk travel! Earl, good morning. It’s just after 3:00 am in California, and dark! Thanks for joining. I was actually just reading your comment on my site and really thinking about the things you said! Yes, I’m always “up” for something new. I’ve never done a chat before and I’m feeling my way along. I did have a nice NYE as I stayed home and watched football games. Can’t do that while your traveling, when in Rome! I still have no clue how that game works…Earl you’ve got me there. Hey Emily – My favorite destination has always been India, simply because it is the only country I’ve been to where I am constantly challenged every minute of every day. As a result, I find that no matter how many times I go there, I learn the most about life and myself whenever I’m in that country. And apart from Hong Kong and Taiwan, I have not been to China yet. I’ll have to ask your advice about the place once you get out there and explore that massive land! I haven’t been to China either – but as far as favorites – I’m incredibly biased toward Turkey (*cough, cough* go there) but also loved the Philippines, Bulgaria, and Oman recently. Hi Earl, now that I’m done with the frantic preparations (thanks Simbio for fixing the wireless so quickly!) just wanted to thank you for sharing your time with all of us this afternoon. And yes, a big thank you to Simbio for allowing us to host the chat here at their wonderful cafe! Earl, I’m sure many are wondering, how did you get involved with cruise ships are traveling around the world that way? I was in Chiang Mai, Thailand, just a few months after my first solo backpacking trip began and I was looking for ways to extend my travels. It just so happened that I met another traveler who recommended that I try to get into the cruise industry as a way to save money, network with people from around the world and get a little traveling in as well. This person luckily had a contact at Carnival Cruise Lines and so I was able to get an interview and then I was hired as an Assistant Shore Excursion Manager…and that was the beginning of a long addiction with what crew members commonly refer to as the wonderful world of ‘ship life’. What did you learn most about India? Any tips for a first time traveller to the country? I’m heading there in a few weeks time. Thanks. Hi Amer, India tends to hit you intensely at first depending on how much you’ve traveled before; it still hits you 🙂 Don’t be scared of the food – street food – or otherwise. India is a great place to eat. Which part of the country will you be visiting? That’s quite an interesting tip. I was told to stay away from street food but felt wrong about not eating them. Well maybe I should look at the crowds and where they eat? Am gonna start off with Mumbai heading towards New Delhi. It’ll be a short trip – just 2 weeks, but will definitely go there again! Want to cover bits and pieces of the country especially the ones relating to architecture. That’s exactly the way to do it and in all honesty, chances are you’ll have stomach problems at some point in India (where the term “Delhi belly” comes from). That said, once your system adjusts you’ll be good to go and enjoy the incredible variety of food you’ll find. As for architecture, you won’t be disappointed! Amer – I think you have it right. If there are crowds eating from a particular street stall, you’ll have no problems. One recommendation is going to Chowpatty Beach in Mumbai one night after sunset. Such a great atmosphere with lots of people hanging around eating street food that is safe and yummy! Hey Amer – I’m jealous that you’ll be in India! The best tip I can give you is to make sure that you take some time to adjust and to realize that life there is going to be quite different than what you are used to. It’s going to be a challenge but if you keep an open-mind and take the time to talk to people and really learn about their culture, your experience will be infinitely more rewarding. Also, I’m not sure of your plans but I do often recommend going straight to a smaller city or town for the first few days. Sometimes travelers get quite overwhelmed when they begin their trip in a place such as Delhi or Mumbai! It’s a good idea to go straight to am more laid back place and then return to the big cities after when you are more comfortable. Well, maybe I should start from a small city. Am not really keen to see big cities anyway. Mumbai seems too big and overwhelming. Any recommendation on nice smaller towns between Mumbai and Delhi? Am keeping an open mind about things. Too bad am there for too short of a time. Need to make frequent revisits. You just take a train to the city of Kota and then a short 45 minute bus from there to reach Bundi. wow..that sounds amazing. Will definitely look into it! Massive thanks for sharing your favourite spots! No problem Amer! I really love India (I’ve spent over 2 years there) so if you ever have any more questions before you head out there, just let me know! We just had our first page crash! Record time everyone 🙂 I’m working to keep things humming smoothly but let me know if you have any issues…I’m on it, promise! Hello Anil and Earl! Happy new year, hope you saw the Transylvanian Dracula! Or would you rather travel from Romania to India by land, via BG, TR, IQ, IR, AF and Pk? Happy New Year Priyank and welcome to the chat!! How was your New Years?? A New Zealand passport would be ideal! And the only times my passport was a liability was when I was in Pakistan/Afghanistan. I didn’t exactly want to flash it around too muuch. I never had any direct issues, even when I did show it to check into hotels, but I did keep it hidden at times just to be on the safe side. When were you in Gaza? 2007, but only for 2 days since missiles started flying after that. It was great to chat with you. The website stopped and then I had to leave for my 9-5 job, do you recall what that’s like? LOL! Thank you Priyank 🙂 It’s a good reason to have technical problems and I’m getting better each time I think 😉 Thanks again for dropping by the chat and look forward to those very interesting travels! Haha…actually, I don’t recall because I started traveling before I ever landed a 9-5 job 🙂 But at least you’re able to get some traveling in as well! Take care and keep in touch…and I wish you all the best in 2012! Do you have any tips on picking up Hindi basics quickly? I have been surprised at the lack of English in India, well Bihar to be exact, which I have heard is the most illiterate state in India so it probably isn’t representative of India as a whole. Hey Royce – I think you are in the part of India with the least amount of English being spoken by far! It’s a tough language to learn but it is a language where, if you can just learn the vocabulary, you can generally place the words in any order, mess up the grammar and still be understood. So I would just try and learn as much simple vocab as you can and blurt it out. That has worked for me in the past over there. Or else you guys should back to Delhi!! Hope you had a great (probably was interesting) NYE over there!! I’m not too concerned with grammar at all, just enough to get around and get by. Of course I know all languages require quite a bit of effort, I just want to get a quickstart. NYE was OK over here. There really is not much of any nightlife to speak of in Putna, but we saw a bit of a Bollywood dance show and then went to a rooftop party. I hope it was great in Bucharest, definitely plenty of options there. I would imagine nightlife being slow over there. Although, the Old City of Bucharest was quite dead on NYE, which was somewhat surprising. A Bollywood dance show would have been most welcome! I love Pimsleur audio, check them out. Excellent for learning conversational language basics quickly. Thanks Anil, I have used Pimsleur for German and I like it a lot as well. I will check and see if there is a Hindi version. I hope you are enjoying Bucharest. Good luck and hope you find it! Hey guys! i don’t really have any questions as such as I just stumbled onto this via twitter, but I just wanted to share my admiration for your life of travel. As someone who is a bit entwined in the corporate grind right now, the life of a nomad seems like heaven. I have plans to move overseas soon (from Sydney, planning to go to Canada or the US if I can find a way to get a working visa) but also tossing up the idea of throwing in the career and being a bit more nomadic. Such a big decision though. Seems like you’ll get there soon enough. And you’re right, the more you keep reading about others’ adventures, the more you’ll be motivated to have some of your own! I think that anything other than my current job seems like heaven to me at the moment. I have no doubt that nomadic life would be difficult though. I do have a question – I haven’t done much travel (5 weeks in Vietnam & Cambodia and just got back from 2 weeks in Japan) so it’s possibly a bit daft but does the feeling of culture shock go away? And after 10+ years on the road do you get homesick at all? As for missing family, I do but you’ll find places in the world that make you as comfortable as even home. You’ll be amazed at how small Earth can feel once you find a place and group of people that click with you. I just want to thank you guys for living the dream. It’s inspiring- I love to read of your adventures- and someday hope to live my own adventures! Cheers to that Laura, if there’s anything we can do to help don’t hesitate to ask. Happy travels and glad to have you here on the chat! Well, if there’s any drug that should be legalized, it surely should be a travel drug, hard stuff or not! Agreed. Cheers to that – speaking of, wait, where’s our wine…I’m on it! But I’m glad you came back and started reading again…now what can we do to get you out there on the road as well?? I think I’ve been subconsciously planning to travel long term since I was about 8 and this year I’m planning to start a business and move to different regions of the world for 2-5 months at a time (rent a room/apt in 1 place and then make smaller side trips from there). I have some technical questions (like: in places like Guatemala or Indonesia is it difficult to find an internet connection that’s reliable enough to have video chat, which I’ll need for one on one counseling for my clients. Related, is it common to get internet in your own apartment). Then there’s other more general questions like, I want this so much, how can I believe in myself enough to make the leap? Slower travel is cheaper and much better when you’ve got to work along the way 🙂 Many, many countries, (seemingly unexpected or poorer ones) tend to have excellent Internet connections. As for internet, pretty much you can find a decent connection in almost every part of the world. You might have to pay a good amount for it but it’s almost always available. I’ve been to both Guatemala and Bali and whenever I was in developed areas, not necessarily main cities, but towns as well, I’ve always had decent connections. But keep in mind it can be spotty in these regions at times as that’s just something you have deal with when living in the developing world. haha… yes Earl, your blog is definitely a drug- these days it mostly make me euphoric, though. reading travel blogs helps keep me focused on how i believe the world is rather than what the news tells me. Both of those are true statements 🙂 Thank you for your help today! Thanks, Anil. That’s a relief. Also, any tips on finding an apartment/ room to rent in country for that period of time? I hear internet prices are typically higher, if you can find a place at all that way. Annnnd…. any words about health insurance? I like Earl’s method of staying at a hostel/hotel for a week and then looking in person. You’ll typically get lower rates and have a better idea of the room than in online photos. Otherwise, expat groups and real estate agency sites can help you narrow down your options. Thanks so much for that link (sorry to hijack). Despite copious googling it’s not super easy to find long term global health insurance!! Also, depending on how much electronics you’re carry with you (if it’s over $500-1000) I can make a recommendation for that as well. Yes please. When I go next time it will be $2500 combined value minimum. Sure thing 🙂 Check out Clements. Good morning guys! My question for you Earl: how feasible is travel to Afghanistan these days? Where would you go? Any special precautions? I’ve heard amazing things about the country, and really want to visit in the future. Hey Matt! Travel to Afghanistan is possible these days, especially for someone with the travel experience that you have. The country is really trying to promote tourism by pointing out the several regions that are quite safe for foreigners to move around. In general, the areas around Kabul, Bamiyan and Mazar-i-Sharif are usually fine to visit, with the proper precautions of course, which would include wearing local dress and ensuring that you don’t stand out too much. And this is actually easier to accomplish than most might imagine considering the range of ethnicities found in this country. The point is, with a little research traveling to Afghanistan is definitely doable these days. Hello and welcome! Earl, what about budgeting for Afghanistan – flights, hotel, food; would you say cheaper or more expensive in general compared to other countries regionally. Also, most people ask me (more so women) about hiring a personal security guard while there. What are your thoughts on those inquiries? It’s quite a cheap country to visit, although, like anywhere, it depends on the comfort you prefer. Hotels can be had in the center of Kabul for as little as $10 USD per night (somewhat grubby hotels) for a private room but if you can go with $40 USD per night, you’ll get a proper hotel room at a nicer place. Food is very inexpensive, as is travel by taxis and buses. Flights aren’t terrible if you fly in or out of a place such as Dubai or Delhi. I went over land from Pakistan through the Khyber Pass which is another option although definitely a much riskier one. As for a personal security guard, it can be a good idea. I never had one but if you are heading there without much travel experience or for a job or volunteer opportunity, then a guard would make sense until you are comfortable with the area and learn where you should or should not go. Hi guys, first of all congratulations on the awesome idea of live chatting 🙂 I’ve been following your adventures from some time. I’m from Romania, from Targu Mures to be exact, smack in the heart of Transylvania. I do have the travel bug, unfortunately the budget won’t allow me to travel as much as I would like to, or maybe I’m just too chicken to take a chance 🙂 However, I’m scraping funds to head over to the US this summer (a place I’ve worked for 3 summers and dying to return to)…so my question is – have you tried housesitting? I heard that it’s a great opportunity to blend in with the locals while not paying rent and taking care of the host’s house and such. I find the idea really appealing. What words of wisdom do you have for me? Hey Joseph – Welcome to the chat! I actually know of several bloggers who spend most of their time housesitting around the world and they always recommend it as an excellent way to travel and save money. A couple of those bloggers are: Globetrottergirls.com and OttsWorld.com. They each have posts that they’ve written where they recommend specific housesitting sites that they have been using all over the world. I would definitely check out their sites! Joseph, it’s a great way to save money and get local 🙂 Get in touch with Sherry Ott Ottsworld whose got experience with house sitting and is an overall awesome person and traveler. Hey guys — Just wanted to say that I’m a big fan of both of your blogs. Thanks for the inspiring stories and awesome travel tips. 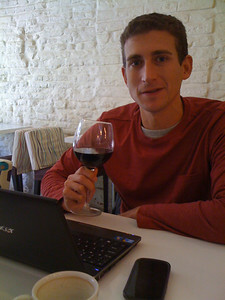 Happy new year and looking forward to seeing what you guys are up to in 2012. Thanks very much for the kind words Jason and dropping by the chat. I appreciate your support and hope we’ll be meeting up in 2012! Ok, one for you Anil. Earl tells me you are the man to talk to when it comes to WiFi antennas. Any recommendations for one that will work with Mac OS Lion? Is it worth having one? Hi Earl! I’ve been a fan of your blog for some time now. I love your writing style and your sense of humor! I’ve also read your e-book about working on cruise ships, and am considering cruise ship work as an option to help pay off my student loans and finance travel. I’m concerned, though, that it might not be for me because I’m a rather introverted person. It seems like working on a cruise ship requires a LOT of socializing and being around people 24-7. I do like people and love the idea of making friends from around the world, but I *really* need to have some time to myself once in a while or I get tired and irritated with people. So I guess my question is, did you ever get any privacy at all while working on cruise ships? How often were you able to steal an hour or two all to yourself? Hey Jana! It’s great to have you hear in the chat! Also, when you do have free time, you are free to spend it as you wish. Believe me, everyone working on cruise ships wants and needs some time to themselves, which is why when a ship pulls into port, those crew members with some free time often run off the ship and just head off somewhere on their own. So you’ll have plenty of opportunities for such ‘escapes’ as well….and there are also plenty of places on the ship where you can get away from it all such as the crew gym, crew lounges and even the dining halls, where you can get a table in a corner and enjoy some quiet time. This was another favorite activity of mine! Thanks for the reply! I feel a little more encouraged to give it a try now. =D So what cruise ship positions do you think would be best suited to introverts? I would say your best bet would be the Crew Office because this office naturally deals with crew issues and has nothing to do with the passengers. Such positions include Crew Purser, HR department (Onboard the ship), Crew Activities Coordinator…and keep in mind, almost all of these positions also have assistants as well. In general, you would apply to the Front Office department to get such a job but when you write your CV/resume and cover letter, you would want to specify your desire to work in the Crew Office. If you have any questions as you put together your resume, just let me know and I’ll be more than happy to give you some advice!! Oh no, I know nothing about finance unfortunately. Ironically I’m much more skilled at languages, the use of which involves interacting with people! You definitely won’t be working every minute of the day…and you’ll always have time off to yourself. And that position actually allows you to interact with only a small group of passengers, those speaking the languages you speak. And that is always much better as you’ll get them to know them on a more personal level. And again, you’ll be able to sneak away throughout the day for some alone time…. The more you talk about it, the better it sounds. Maybe I should go for it! The other good thing is that once you get on board, in any position, and you complete one contract, you are generally allowed to switch positions if you want. You just apply on board and that’s it…so just getting your foot in the door is key! Okay, thanks! I’m currently an au pair in France and will be here until the summer, so I won’t be able to apply for a while yet… But I will definitely contact you if I have any questions later! Hey Maureen – Hmmm…I actually didn’t eat breakfast 🙂 I almost never eat breakfast for some reason…I’ve been that way for many years now. What are you having for breakfast? Whatever it is, you just reminded me that it is now lunch time, which, luckily, is a meal I do eat! …and Earl. Eating breakfast is good for you. I mean, look how much not doing so has stunted your height. I’m going to fix a big breakfast:) Hashbrowns, toast and eggs. How long do you tend to stay in one place? I tend to go in periods of faster travel then slower. Fast is a week in a new place and slow is 4-8 weeks. Breakfast sounds good though, I’m actually getting hungry for a snack. 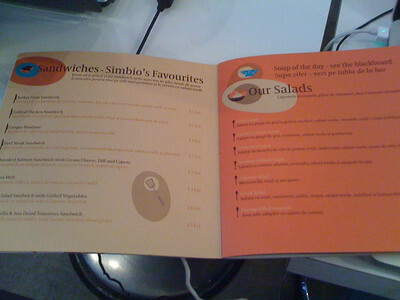 I hate that time between lunch and dinner although this Simbio Cafe has an excellent menu. No idea…so far the only thing we’ve ordered is wine. But I need to have a look and order something soon! LOL! My stomach is growling and I better get cooking! GREAT chatting with you Earl! Hasta la proxima vez. !! Ok, you’ve convinced me. Tuna it may have to be… 🙂 thanks! Great chatting with you Anil! Ciaou. Not a bad idea at all! Enjoy your meal and thank you so much for joining the chat….buen provecho!! It depends these days…sometimes I’ll pass quickly through but in general, I prefer to travel much more slowly and spend a good amount of time in one place. So I will often alternate between traveling nonstop for a couple of months and then choosing one place to get an apartment and stick around for 3-4 months in order to really get to know the destination and to catch up on work as well. I find it to be much more rewarding when I spend longer periods of time in one place, even if that means I miss out on seeing some other destinations within a particular country. Only 10 days! The last 8 weeks we were in Argentina/Chile continually on the go. Then you definitely deserve a break! After being on the go for a while, the best thing you can do is stop in one place and take it easy…. Right now I am in Boquete, Panama. Earl, Have you spent any time in Panama? If so, what are some of your impressions? I have been to Panama a couple of times, although it was a while ago. I really enjoyed the country, but need to return again to spend more time there. I think in total I’ve spent 2 weeks there which is not enough to get a complete impression. How long have you been there? It’s seems to be much more rewarding to stay awhile in one place. We rented a house for a month. It really is a change from moving from hostel to hostel. But I am already feeling restless! Here’s another question for both Earl and Anil: Can you guys list all the ways you can think of to make and/or save money while traveling or living abroad? Some I can think of are teaching English, being an au pair, housesitting, starting an online business, and of course working on a cruise ship… But I wonder if there’s anything else I’m missing? Rather than make the list that way, I’d start by asking you what are your expertise – what are you good at and what skills would others want to pay for? Hm, well I kind of meant to ask this question for the benefit of others as well as myself (because people are always so surprised that you can actually travel affordably!). But some of the things I’m good at are languages, drawing/painting, and writing. There are so many good options, but looking at turning your skills into income, there are many, many translation jobs freelance that pay very well depending on the language 🙂 I can refer you to some source if you’re interested and appreciate the question! Thanks. =) I’ve actually looked into that before, and I know there’s some very good money to be made translating patents and other such documents from Japanese into English (I’m fluent in Japanese). I don’t think I could do it though, because the documents to be translated are just so… boring! I want to enjoy the work I do or it’s not worth the money to me. Hey Jana – There are literally thousands of ways to make money while traveling. The key is thinking creatively because we automatically associate earning money with some standard type of job. As an example, I know travelers who have earned money by going to countries and building basic websites for budget hotels that want to have a web presence. There are people who have traveled all over Latin America by working out deals with boat tour operators in which they received a nice commission for every traveler that they convinced to sign up for one of the boat tours. You can work as a timeshare salesperson in resorts all over the world, you can earn money by correcting English menus and signs in countries where English is not the native language, you can earn money by offering haircuts or massages to other travelers in hostels…the list goes on and on and is really only limited by our creativity! I just wanted to thank everyone for joining the chat today! I’m a little upset at Anil for not telling me that I had red wine stains all around my mouth for the past three hours as I sat here chatting in this crowded cafe, but I still had an excellent time answering questions and communicating with you all! Those 3 hours went by quickly again this month and sadly I’ve got to bring things to a close. I want to thank all of you very much for participating in the chat and especially Wandering Earl for spending his valuable time with us today. I encourage you all to check out his site and travels; we’ll probably have a trip or two later to tell you about in the coming months. All the best and hope to see you again on my next live chat, coming up on February 2nd, 2012. Happy New Year and wishing you one that’s loaded with travels! Thanks for having me as the guest Anil!